Aggrieved students of the Ghana Law School have declared Wednesday a "Red Day" across all campuses to show their disapproval of the results of the 2017 bar exams which saw a whopping 81% of students failing. 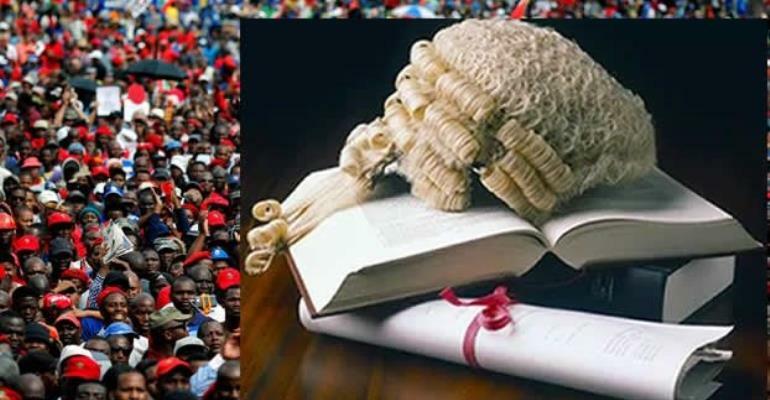 All law students are expected to wear red as a sign of protest against the disappointing results, which the Ghana Law School Students’ Representative Council (SRC) has described as an “injustice”. The SRC executives and an agitated group of students are also expected to hold a press conference on Wednesday at 1:00 pm at the Accra main campus of the law school on the matter and subsequently submit a petition to the “appropriate authorities” on the results, according to a circular to students sighted by Joy News. “All students are entreated to turn up for the press conference with their red bands [Wednesday] at the Accra main campus,” the circular urged students. The SRC had rejected the results on Tuesday when it became public that only 91 students, representing 19% of the total students, passed the important exams that would allow them to be admitted into the hallowed profession. Of the 474 students who wrote the exams, a total of 206 are to repeat the entire course after failing the final bar exams. Another 177 students have been referred in one or two papers. The SRC is convinced the results could not have been the true reflection of the exams written by the students. The Council is, therefore, demanding a remarking of all the failed papers with a drastic reduction in the remarking fee from ¢3,000 to ¢500. “In line with the rules of natural justice that a man cannot be a judge in his own court, the IEB [Independent Examination Board], cannot be in charge of the remarking of the scripts concerned. We cannot trust that the IEB will be candid enough to expose their own flaws. We are therefore calling on the GLC [General Legal Council] to appoint credible independent and professional examiners to mark all failed scripts again,” SRC Secretary, Abena Asare-Boye, said in a communiqué. In a roadmap towards a total rejection of the result which the SRC said was “dispiriting and upsetting,” the Council said it was considering taking legal action against the authorities if the results were allowed to stand.